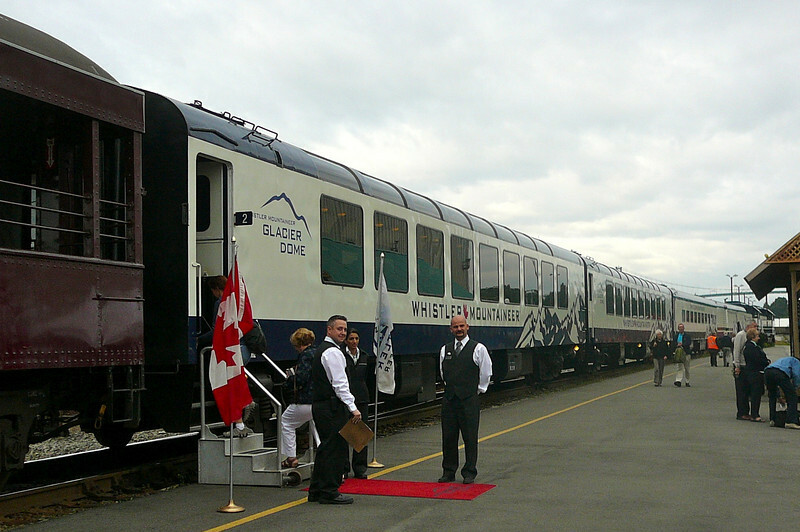 The "Mountaineer" has two levels of Train Cars/Service... "Whistler Service", the standard option & "Whistler Dome Service", the "1st Class" option. Here "Dome" guests receive a Red Carpet welcome. **Note** The "Dome Service" is now a 2 level car.